A four day combination class teaching the essential skills and knowledge to prepare you to sail boats up to 35 feet in moderate conditions. This is an excellent refresher course for experienced sailors looking to gain a credential, or to prepare to crew on a bareboat charter trip. This includes all the course content of both ASA 101 and ASA 103. 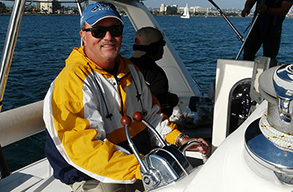 Prerequisites: none, this is a good class for experienced sailors looking to get certified.